Heat chicken and Buffalo sauce in a skillet over medium heat, until heated through. Make sure to break up the chicken so there are no big chunks. Stir in cream cheese and ranch dressing. Cook, stirring until well blended and warm. Stir in shredded cheese. Pour into a shallow dish or pie pan and sprinkle with blue cheese crumbles. Microwave dip until the blue cheese melts; about 30 seconds. We usually only sprinkle blue cheese on half of it for those who aren’t blue cheese fans. Serve with chips for dipping. This Buffalo chicken dip is the ultimate fan food. On any given Sunday during football season, if you show up at our house we will be eating this Buffalo Chicken Dip. I don’t usually talk a lot about my husband’s job but it’s intrinsic to the story behind this dip. My husband plays football for the Miami Dolphins and he doesn’t eat much before a game because he doesn’t want to play a game with a stomach full of food. So when we get home after a game he is beyond starving! I usually prepare most of dinner before the game, but there are always a couple of things I need to finish up before we actually sit down to eat. As soon as we get home, I always fix this quick dip, per his request, to take the edge off of his raging appetite. He snacks on it as he flips through his game that we’ve recorded to see the highlights of certain plays. Because when you’ve just spent four hours at a game, the only logical thing to do is come home and watch the whole thing over again. Makes sense, right? Only to a football family I guess. I have to warn you - this dip is NOT pretty. Trust me…I’ve tried hard to make it look nicer but it will forever be better to eat than to look at. 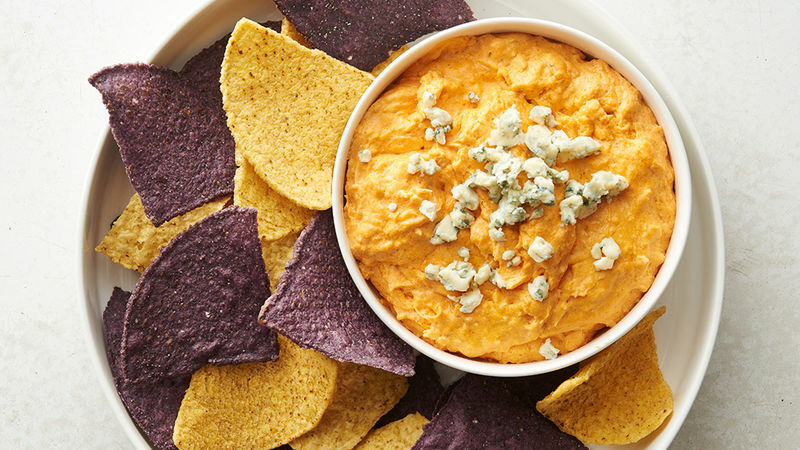 It’s a dip made with chicken, buffalo sauce, and cheese, and it's incredibly addicting. So good you won't even care what it looks like.